The trouble with anniversaries is that you might be left without any ideas whatsoever. Sure, the first time around, you might come up with a neat gadget or item that your special someone might want to wear, put on display, or utilize. But the next ones always get you into trouble. It seems as if the more you get to know someone, the fewer things you can get him or her. Luckily for you, we’ve created a list of some of the nicest and coolest presents you can get for your partner when that special time approaches. Have a look at these suggestions if you’ve got the time. Despite being one of the most budget-friendly choices you can make these days, this particular wine glass is romantic and sweet. It’s elegant, yet at the same time witty and funny enough to elicit laughs and ‘ah’s from your special someone. Since it is engraved with a simple message and two figures of people enjoying each other’s company, there’s no better way of telling your special someone you care about them. Plus, the glass can even be cleaned in the dishwasher, so it won’t raise too many difficulties if you want an easy-to-use present. The DuVino is manufactured in the United States and comes in a nice-looking gift box. This product should be another that you ought to keep in mind. Who doesn’t use keychains, after all? In spite of the myriad of technological advances, we still need our keys to get into the house, in our cars, or into the office. 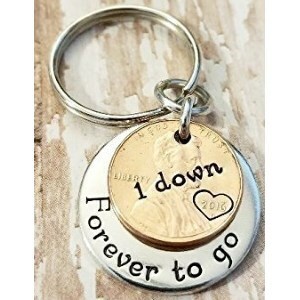 So this keychain couple is the perfect alternative for those who want to make sure that their partner always remembers them. The model is made from an eco-friendly zinc alloy. 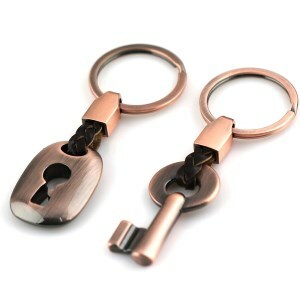 The component that links the key and the lock to the chain is made from quality leather. It’s easy to see that both of the parts will withstand the test of time. And if they won’t, there’s nothing stopping you from getting a replacement as the keyrings are very affordable. Few people don’t use pillows when they go to bed at night, and so this pillowcase set will make a wonderful gift for the both of you. 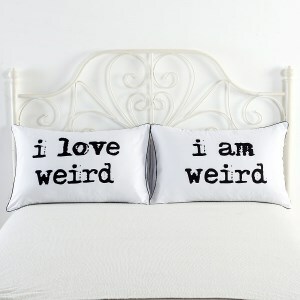 One of them is printed with the message ‘I love weird’ while the other is printed with the message ‘I am weird.’ So, there you have it. You really can’t go wrong with this type of present. Regardless the person who sleeps on one side of the bed or the other, the connection is clear. The set units are made from a mix of cotton and polyester, therefore ensuring both comfort and durability over time. 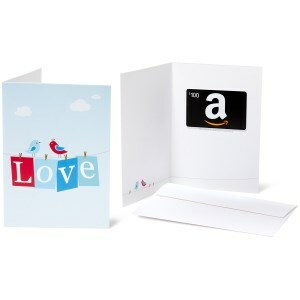 If you’re left without any ideas as to what you can get for your special someone, nothing beats a gift card. The neat thing about this type of present is that he or she will be able to choose anything he or she likes. There are no fees or expiration dates to this card, but it’s also worth noting that once you get it for someone, you can’t give it back. Besides, since this is an electronic gift, you can simply scan and redeem it online. You’ll need a device such as a laptop, tablet, or even a mobile phone. The worst thing about great memories is that there’s no way of capturing them when they happen. Or is there? This portable printer shows you and your partner that you can have your cake, and eat it, too. It’s convenient and versatile, and above all, it’s easy to use, so it won’t raise any difficulties to perhaps less tech-savvy individuals. Moreover, you can even print shots from your social media profiles, and then frame them and look at them when you’re together. 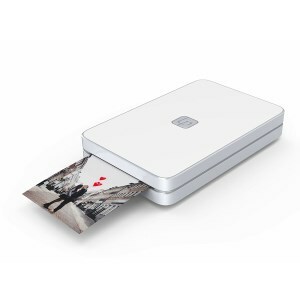 Honestly, there’s no reason for not considering this product as it is the means of capturing all of those sweet memories you’ve made together. If your partner has an iPhone 7, then this is the gift to get him or her. It looks cool, and it even feels good to touch. The smoky lens that this product has been outfitted with will inevitably make an impression, especially with people who have a soft spot for all vintage things. 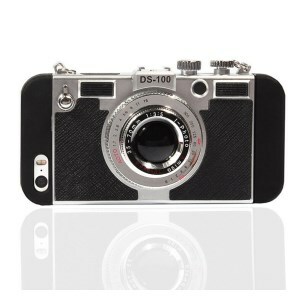 Besides, it’s worth noting that the unit also comes with a camera strap. What this means for the gift recipient is that he or she won’t even hold the body armor. Even though it is one of the most reasonably priced options you can go for, it’ll make your hubby stand out from the crowd, to be sure. It’s been equipped with a comfortable and easy-to-use handle, and the best thing about it is that it can be cleaned in a dishwasher and used in the microwave. Besides, let’s face it. It is one of the coolest-looking cups available these days. The graphics will last for as long as possible, too, just like the feelings between the both of you likely will. This one’s for those who have been together for quite a bit. 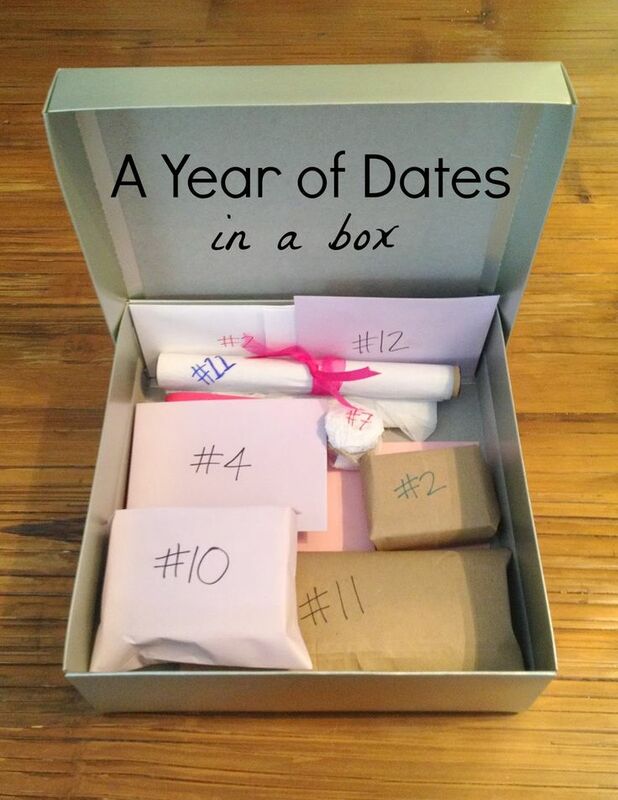 If you like keeping tabs on all of the dates you’ve shared with your special someone, you needn’t look for another present. This one can hold all of the important moments you’ve experienced with your partner, at least as long as they aren’t more than six. The product is made of wood, and its origin is the USA’s Pacific Northwest. In short, the Family Sign is a high-quality alternative that’s handmade, and that should unquestionably be given some thought to as it is unique and eye-catching. Moreover, you can always get in touch with the manufacturer if you need to do so. One of the coolest things about this product, which by the way, has garnered mostly 5-star ratings, is the fact that it implies the idea that you and your partner will share the rest of your lives together. 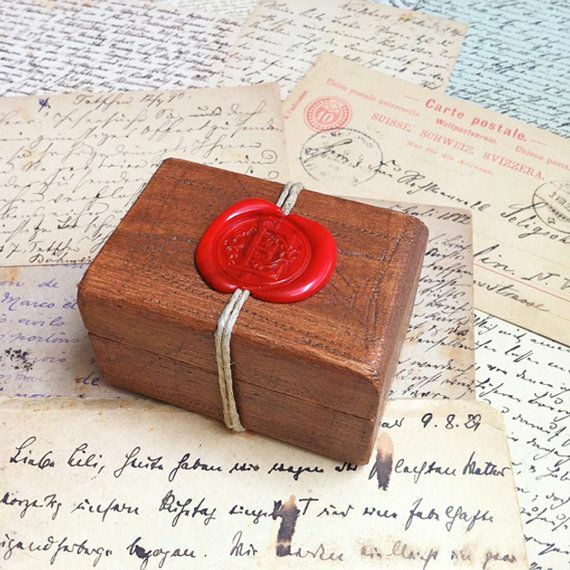 Whether you are married or not, such a statement matter more than any certificate you may have on hand. The product is crafted from copper and stainless steel, so there’s no doubt as to whether or not it will last for as long as possible. Just like the other keychain we’ve mentioned in this selection, in case it does break down, you can always get a replacement. Every piece is hand stamped. What type of cool anniversary gifts should we offer to our special someone? This is a question that seems to be on everyone’s lips these days. It is almost impossible to guess what gifts men or women really want sometimes. 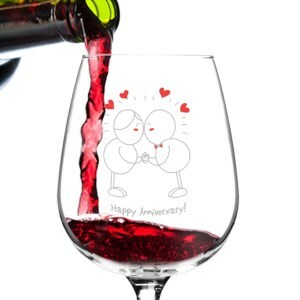 Fortunately, today we have prepared a comprehensive buying guide for you to consider when you want to find and purchase cool anniversary gifts for him or her and create great new memories! What kind of presents do men or women prefer in general? Even if they do not say so, everyone likes to be spoiled. Moreover, no one does really need expensive items to feel happy. 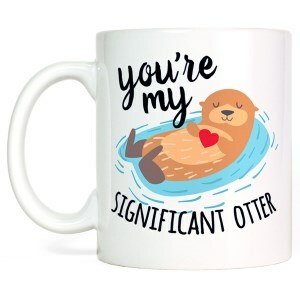 Most people appreciate even the slightest gesture that comes from the heart of the person offering them cute anniversary gifts for her or him. When you choose the perfect present for your boyfriend or girlfriend, you should try to guide yourself towards finding something that is according to that person’s hobbies and which is appropriate for each occasion. 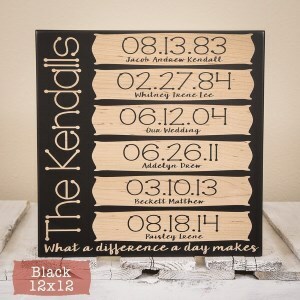 With this buying guide at your disposal, you can now find great anniversary gifts for parents, as well. Although getting cool anniversary items might seem really challenging, you should not let the challenge win you over. With this buying guide at your disposal, you can make a wise choice based on important factors that determine the worthiness and the quality of the products available for sale in the line of anniversary presents. Giving is considered to be a noble gesture, one through which we manifest our affection, our generosity and the respect we have for someone dear to us. It is said that offering a gift is a real form of art and that in Japan, the country of politeness, special courses are being taught in which all aspects of the art of offering special presents are being presented. Starting with the simple messages we send when offering something and finishing with the meaning of particular flowers for women, all these are part of the art of giving. To make the best possible impression on that special person in your life, you should remember the list of mistakes that should be avoided as well as those rules that should always be followed when choosing an item for a woman. This helps men choose perfect presents for women and offer them in an elegant manner that will be highly appreciated by the person receiving them. When your intention is that of bringing joy to someone’s life through the items you choose to offer, you should pay careful attention to every detail involved in the process. Make sure you carefully remove the price from the product you purchase before offering it to your partner. Moreover, it is not recommended to offer bulky objects that take up too much space or animals unless you have discussed this topic in advance. Additionally, you should never choose objects you have lying around in the house and which you do not like or that are somehow worn out. What’s more, you ought to avoid offering books that you have not read or which you are not certain that they are worth reading. Finally, keep things as simple as possible and avoid struggling to attract too much attention through the items you choose to offer as presents because this might affect your choices in a negative manner. Go for what you know she likes, wrap everything in a nice package and use a message with your present to make it more personal. A present must be bought after careful thinking to match the receiver’s personality and cover her preferences. Moreover, it needs to be properly packaged and elegantly offered together with flowers that should never lack from the overall package when the receiver is a woman. Moreover, the present should be beautiful, useful and cause genuine pleasure to the one who receives it. The price of an item must almost always remain a mystery, so the label will be removed from any object that we offer as a present. In what concerns the ritual of receiving and offering gifts, specialists say that when we offer a certain item, we do not have to insist very much to find out if the person who received it is happy with it. However, if the receiver is the person you spend your every day with, you can discuss such details with her and even exchange the item in case she does not like it or cannot use it for various reasons. There is not a day you do not hear that an invention has reached the market: a wheelchair that automatically raises the patient from the bed, a digitally controlled device that throws little goodies to the dog that has been left alone at home. Even the earthquakes can be foreseen these days. Why not invent a device that might guess what present you should buy for your girlfriend or wife for her birthday? It is time for you to get out of your comfort zone. Whether you want to admit it or not, as far as women are concerned, special gifts, proper attention and little proofs of love are at the top of the list of responsibilities they have in mind for the head of the family. Therefore, it is important to know that a good present for a woman should cover two basic aspects: it should be something she needs and should clearly show that you love and appreciate her. How can you manage to do this? By making sure that the item you choose to offer covers an immediate need she has. It might be a DIY memory pillow, a pillow case set she loves, a cotton candy maker or even a monogrammed robe. The important thing to remember is that it should be something that she needs and prefers, not something you need to have at home.